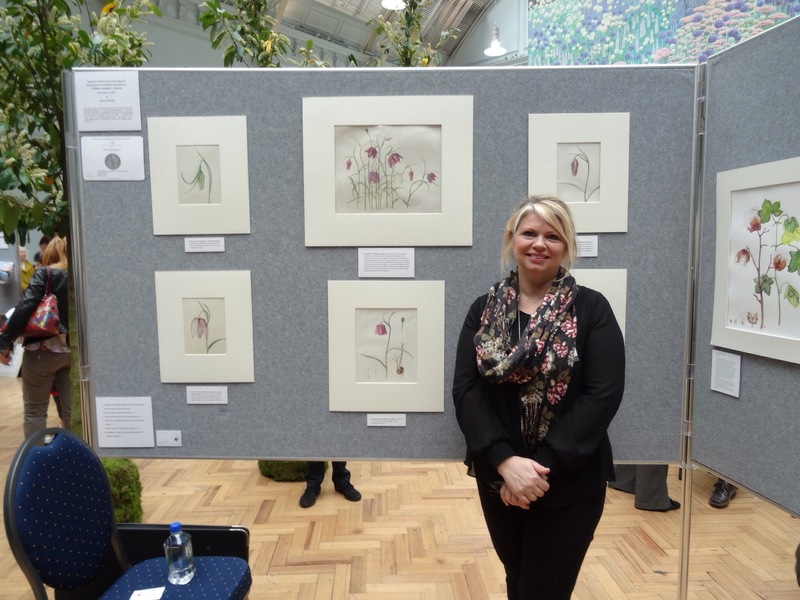 Now I am back into the swing of things with a two- day botanical art workshop. The title was based on pictures I took at this time last year; spring bulbs! Bad mistake. Most spring bulbs are finished now. I trawled through the local garden centre and found some worn out tulips, fading well in their pots, and some Fritillary. I therefore bought the latter, and some Osteospermum. One student found some Lily of the Valley and another brought some more Fritillary from the garden. Challenges galore. I think that the greatest challenge was the pattern on the Fritillary and this was tried both in watercolour and coloured pencil. Thank goodness for a little knowledge about Fibonacci. It certainly helps in knowing about the spiral when planning the pattern. For those who might not know, Fibonacci was an Italian mathematician and he worked out the mathematical process behind the spiral which we basically find in nature and in good design. For example, the spiral of segments in a pineapple and it’s leaves, a pine cone, the centre of a sunflower – and of course the pattern on a Fritillary petal. Hopefully I will be back with some pictures from the workshop tomorrow. Things look promising, but I have students who have not painted since they were at school, and those who are very experienced. Believe it or not, it is those with experience who feel most challenged as it is generally very specific problems that they want to overcome. I think it fitting that I show you Diane Sutherland’s exhibit for the RHS. She painted these Fritillary on vellum. In fact, the largest piece of vellum in this series is from Rory McEwen’s vellum left to the Hunt Institute of Botanical Art in Pittsburgh.